So you’ll be delighted to hear that Danny has decided to take the show back on the road. 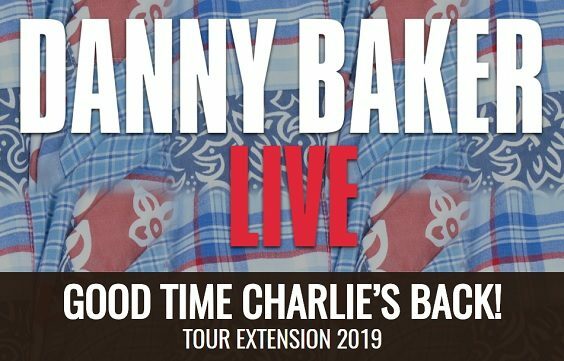 He is coming to a venue near you very soon with “Good Time Charlie’s Back!” It comprises more uproarious anecdotes from his treasure trove of life stories. The critics have already been raving about Danny’s live performance. The Mail on Sunday describes the show as, “A delightful nostalgia fest. An ‘evening with’ like no other… A raft of cracking anecdotes.” Meanwhile, the Evening Standard declares that, “Boy, can he sell a story… a compelling, evocative account of his south London roots”. For its part, the Guardian comments that, “Baker makes a compelling case for the liveliness of his personal golden age. His glee, and his love for their protagonists, bring them leaping to life. 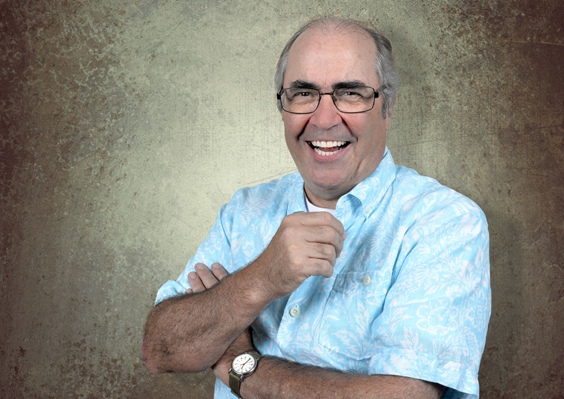 As a host, he’s entirely unpretentious and fires off stories as they come to him… It’s hard not to marvel at the flow”. It is hard indeed. I feel like I have had a marvellous preview of ‘Good Time Charlie’s Back!’ during our 45-minute interview in the run-up to the tour. Talking at breakneck speed, Danny is a veritable force of nature, a molten lava flow of wondrous stories. He could entertain you merely by reading out of the telephone directory. It is a real pleasure spending time in his company. Performing live certainly plays to Danny’s strengths. 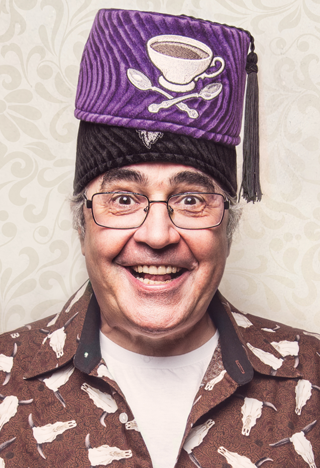 Responsible for the hugely popular BBC2 sitcom, Cradle to Grave, based on the first volume of his bestselling autobiography, he is a supremely gifted off-the-cuff performer who has no need for direction or a script. Priceless stories flood out of him like an undammed river. Danny, who can be heard on Saturday mornings on his multi award winning BBC Radio 5 Live show, clearly relishes the live experience. He revels in the contagious atmosphere of a show that is being delivered to an ecstatic audience and will never be repeated. Remembering his last tour, Danny whistles with something akin to amazement. “God, it was something. They were great nights, those shows. And there is no record of it. It wasn’t filmed, it wasn’t recorded. But that’s fine. That’s half of the shine of it as well, I think. About ten minutes into it, you could really see the audience think, ‘Wow, he won’t be able to keep up this!’” But of course, he did! He also revels in the sense of anticipation as he builds up to the climax of another highly amusing yarn. The performer reveals that, “I don’t have a fear of public speaking. Onstage, I like knowing that I’m heading into a really good story. Along the way they’re funny, but I like to know that they pay off. What is most incredible about Danny onstage is that he just goes into a different zone. He tells the most superb anecdotes – and then the moment he walks off stage, he cannot for the life of him remember what they were! As you can tell, Danny has a quite remarkable gift. Equally astonishing is the fact that he writes nothing down before he goes on stage. The performer discloses: “There’s no structure to the show, but there is an absolute power house of stories. And why deny telling people those? Yes, I’ve got 61 new stories to get through in the new show. But I will get through about, on any given night,… 15. Another great skill Danny possesses is the ability to turn disasters into comedy gold. He laughs now that even the “nadir” of his TV presenting career, a short-lived consumer programme called The Bottom Line, has provided him with some terrific material. Danny recounts: “The theme tune used to go, ‘It’s the bottom, it’s the bottom line’. And we used to run onto the set going, ‘It’s the bottom of the barrel.’ The Bottom Line only lasted one series. It was an absolute stinker. What is irresistible about Danny is the sheer passion he has for storytelling. This is highlighted in ‘Good Time Charlie’s Back!’ which he has joked will serve as his farewell tour. He says: “I have an ebullience that some people find annoying, but I’ve said it many times, I’m very shallow. That has become a bad thing, but it’s not in my book. 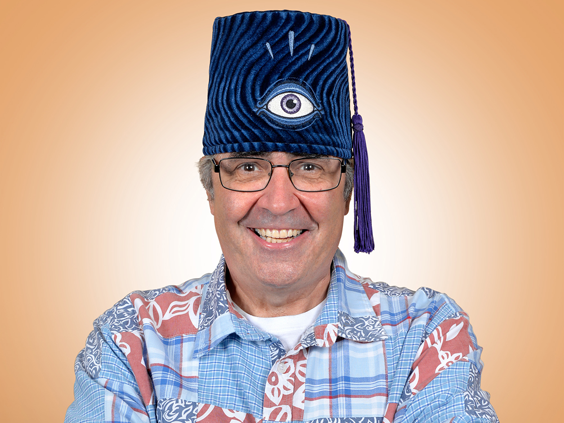 Danny Baker’s new show ‘Good Time Charlie’s Back!’ visits York Grand Opera House April 29 and Bradford St George’s Hall May 28.